So it’s not quite Wednesday, but I took my book to the coffee shop this morning. It was a bit quiet, but two people sitting in the outside area caught my eye. Both were buffered against the arrival of winter temperatures. 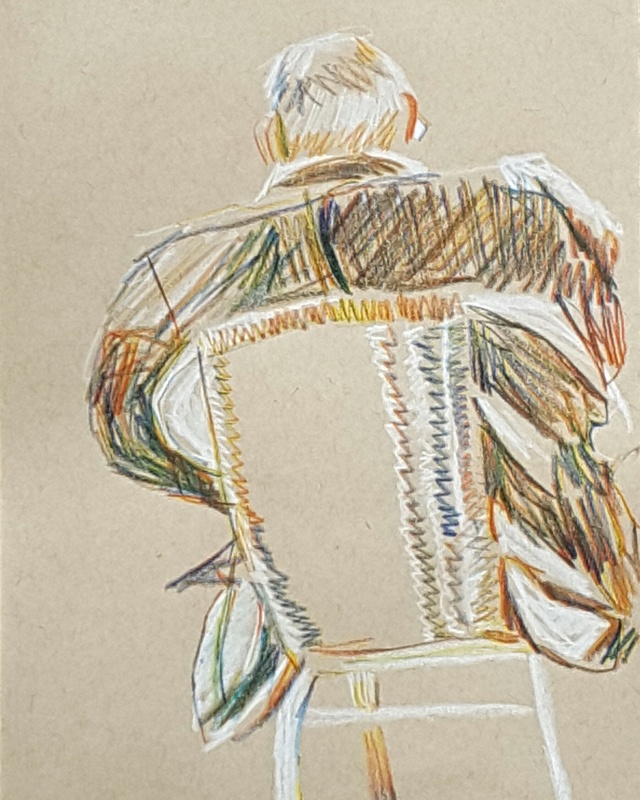 This man was rugged up in a large jacket which exaggerated the width of his shoulders, particularly as he was sitting a bit low in his chair. A few tables away sat a man in an interesting knitted cap. 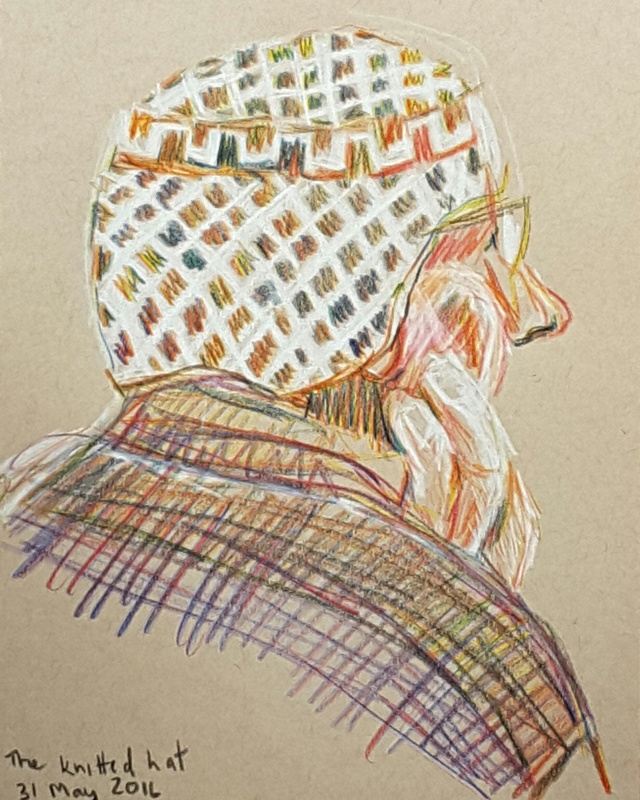 Once again I am using my Koh-i-noor Magic pencils and a white Prismacolour pencil on my toned brown Strathmore sketchbook.